How do I buy a Fibrenew International, Ltd Franchise? Leather, plastic and vinyl exist everywhere and become damaged through normal wear and tear or accidents. 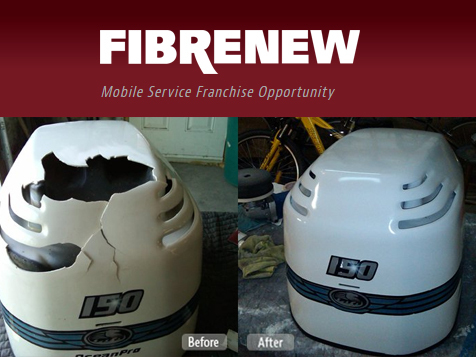 Fibrenew technicians are called upon to restore rips, fades, stains, cracks, scratches and holes on items in homes, vehicles, boats, planes and businesses. 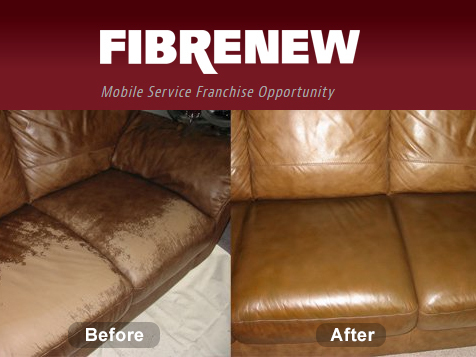 Join the market leader in the restoration of leather, plastic and vinyl. 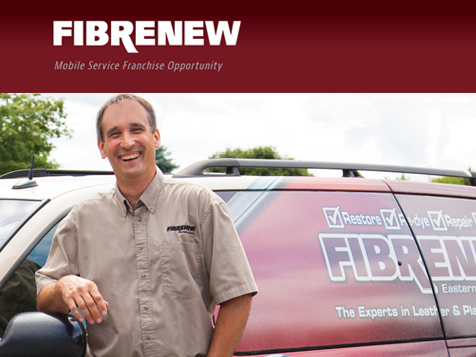 With so many potential revenue streams across multiple markets along with a high demand for Fibrenew's services, the Fibrenew company and franchisees have grown and thrived through every rise and fall of the economy since 1987. Open Fibrenew International, Ltd in any of these available states: AK, AL, AR, AZ, CA, CO, CT, DC, DE, FL, GA, IA, ID, IL, IN, KS, KY, LA, MA, MD, ME, MI, MN, MO, MS, MT, NC, ND, NE, NH, NJ, NM, NV, NY, OH, OK, OR, PA, RI, SC, SD, TN, TX, UT, VA, VT, WA, WI, WV, WY. 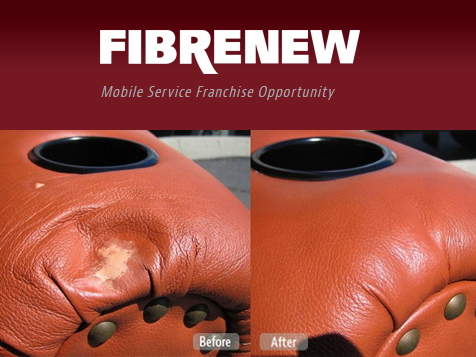 With more than 240 locations in 5 countries and growing, Fibrenew is a market leader in the restoration of leather, plastic and vinyl. Consider owning this home-based, mobile franchise service which caters to the aviation, automotive, commercial, marine, medical and residential markets. The services are always in demand. The repir process used also saves customers time and money. Restoration by Fibrenew is often times more economical than the cost of replacement and can be completed faster than the time it takes for replacement materials to be ordered or delivered. It’s win-win. 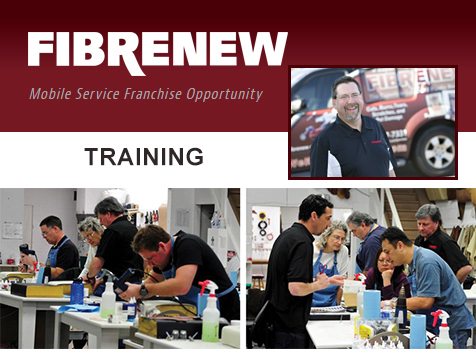 Fibrenew provides new franchise owners with a 3-phase, 20 week training program which are guided by an experienced personal coach. 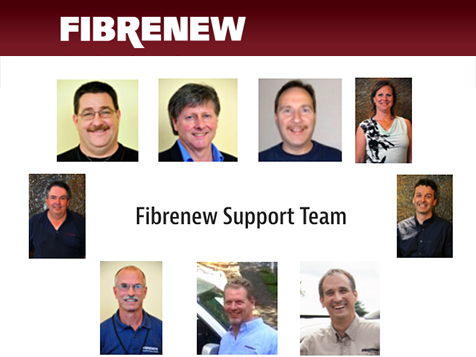 In addition, Fibrenew offers live training and meetings on a regular basis in cities throughout the USA and Canada. A highly experienced support staff provides Fibrenew franchisees with expert field assistance on all aspects of the business, and are available to help by phone, instant messaging, live streaming video, email and/or through an online Technical Library. 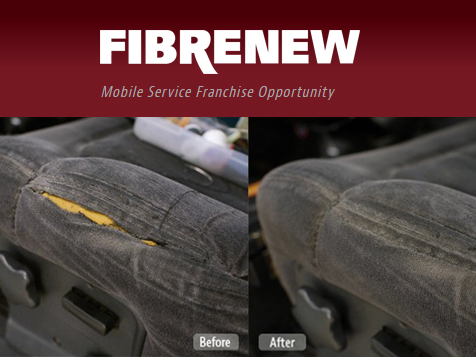 No prior experience is necessary to succeed with Fibrenew. If you enjoy working with your hands, can distinguish color adequately and are comfortable with relationship selling, you’re half way there. Fibrenew provides the rest through a thorough training program that includes hands-on experience with professional and experienced support staff. Fibrenew franchisees come from all walks of life. The diversity of backgrounds and past careers is widely varied. As a way of giving back, Fibrenew offers a 10% discount to qualified candidates who are veterans and their family members off the franchise fee. Learn more and complete the inquiry form today. Fibrenew International, Ltd is not currently active in our directory, but here are some other recommended selections for you to explore.